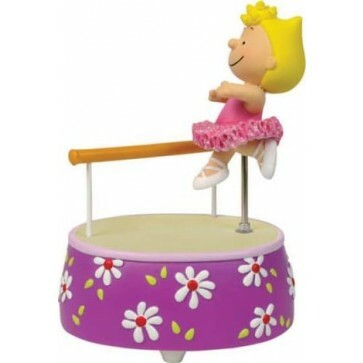 Sally is dancing ballet in a hot pink tutu skirt. This is a musical figurine where Sally moves up and down to the tune of 'Swan Lake'. Measures 5.5 inches in height. Made by Westland Giftware.